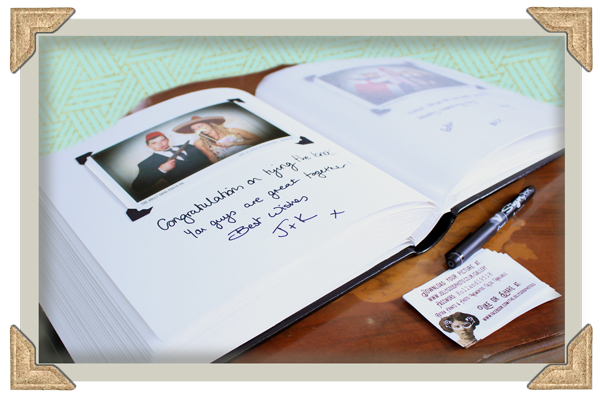 Your guest book should be a cherished keepsake from your big day so we make every effort to ensure it's something you'll treasure and enjoy for generations. Diamond and Ruby packages or can be added as an extra to our gold and pearl packages for an additional £50.
" 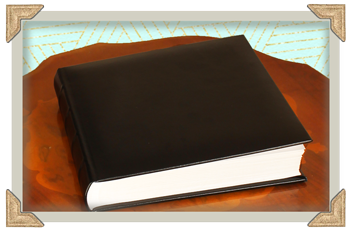 Our guest book is an absolute joy "
requiring guests to do it for themselves. (unless you'll find them hilarious of course). who LOVES the booth and wants 50 pictures. We add the best ones and then put the rest in a little wallet for you. ​ were waiting for our official photos to arrive! " We use traditional photo albums as our guest books. guests get a printed copy of each photo. makes things smoother and speedier on the day and also avoids the need for messy glue. Interleaf sheets between each page protect the photos and messages. Messages are written with a lovely, flowing pen, specially selected for use with the books. No rogue pens or splodgy, messy biro allowed! ​messages and photos can be replaced on the day. Other colours, styles and personalisation available on request.